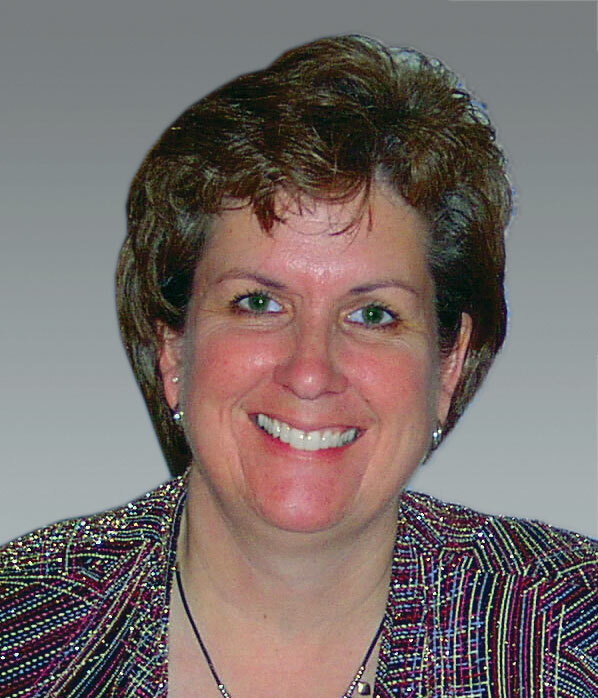 Title: Required Competencies to be a Leader in Organizational Resilience What do you need to know to increase the resilience of your organization? What do you need to know to increase the resilience of your organization? 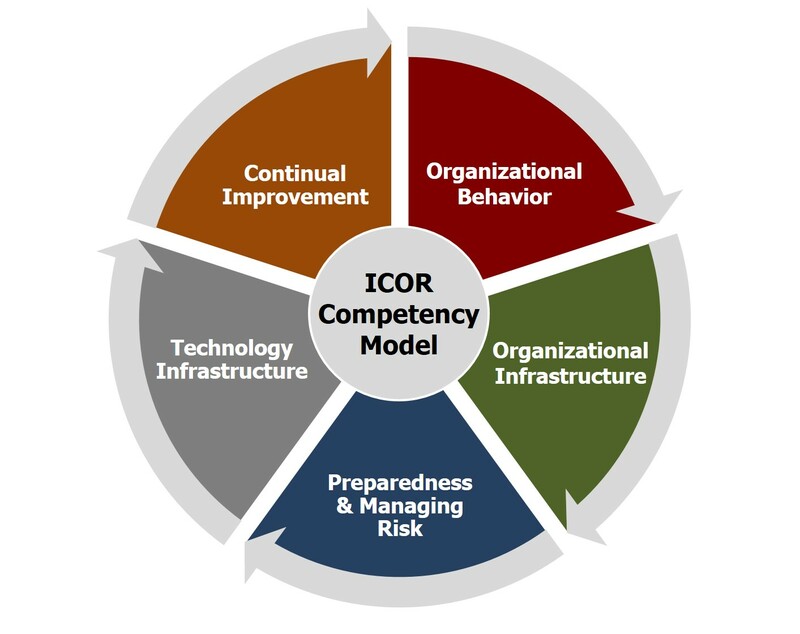 The ICOR Organizational Resilience Competency Model identifies what it takes to be a Leader in Organizational Resilience—across the performance continuum; around the globe; and across all career levels, job roles and job functions. Defines the competencies and knowledge necessary for those designated to intentionally increase the resilience of organizations. Supports OR practitioners in their career and professional development. Helps organizations build approaches to identify and cultivate high-quality OR leaders, individual contributors, and teams. The Competency Model provides the foundation for talent management and helps organizations ensure that those hired to implement organizational resilience strategies are proficient in the behaviors and knowledge necessary to build more resilient organizations. 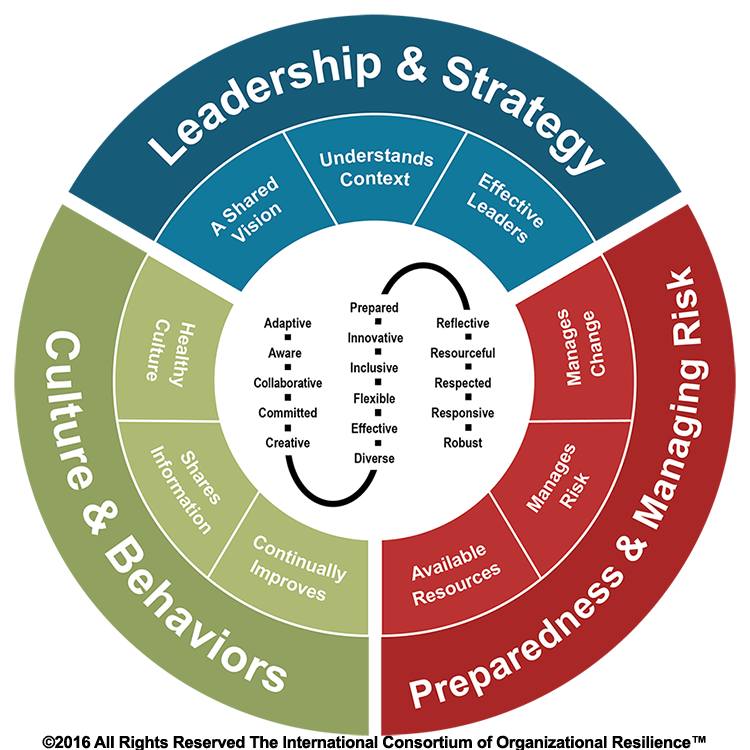 Just as there is no single approach to enhance an organization’s resilience, the competencies required to be a leader in organization resilience requires an understanding of a diverse set of strategies and behaviors along with an intentional coordinated approach for implementation. The 25 core competencies are grouped into 5 clusters with expected performance outcomes. 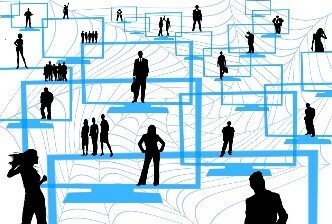 The ability to manage the interface between human behavior at a micro-level, the behavior of work groups at a meso-level, and the behavior of the organizational at a macro-level. COR.1 Leadership Qualities for Resilient Organizations: Leads with vision and is trusted and respected. COR.2 Culture and Its Impact on an Organization’s Resilience: Ensures that the organization behaves in a manner that promotes a healthy culture. COR.3 Knowledge Management: Enables the sharing of information and knowledge to enable effective decision-making, learning from experience, and from others. COR.4 Agile Change Management: Implements systems to anticipate, plan, and respond to changing circumstances. COR.5 Agile Project Management: Implements project management activities that are iterative, value communication, adapt to changes, and produce working results. The ability to manage the physical structures required for an organization to function and prosper. COR. 6 Structure & Design: Ensures that the organization is structured and designed for both high performance and managing change. COR.7 The Agile Workplace: Creates a workplace that is flexible and productive. COR.8 Facility Management: Integrates people, place, process, and technology within the built environment. 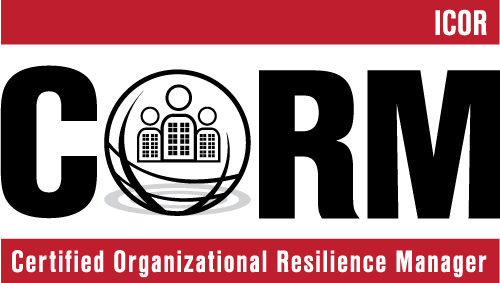 COR.9 The Resilient Workforce: Implements systems to increase workforce capacity to handle stress, increase engagement, and manage continuous change. COR.10 Agile Finance: Dedicated to decision support, predictive analytics, & performance management to make finance agile. The ability to ensure the organization is prepared to manage the unexpected and intentionally manage risk. COR.11 Risk Management Principles & Practices: Implements systems to ensure that risk is effectively managed throughout the organization. COR.13 Crisis Management & Communications: Ensures strategies exist to effectively analyze situations, make difficult decisions, and communicate to all relevant interested parties. COR.14 Business Continuity Management: Ensures the capability of the organization to deliver its products and services at predefined timeframes and capacity. COR.15 Supply Chain Resilience: Ensures strategies exist to manage supply chain risk, continuity, and security. The ability to manage the critical environments used to house computer systems and to protect data and the associated technology systems. COR.16 Critical Environments: Ensures that the critical environment will continue to operate under all conditions. COR.17 Information & Communication Technology Continuity: Ensures that the information and communication technology infrastructure continues operations under all conditions. COR.18 Storage & Availability Systems: Implements systems to ensure information and data is adequately stored and available when needed. COR.19 Information & Cyber Security Compliance: Ensures that all information and cyber security aspects of the organization are compliant with requirements. COR.20 Information & Cyber Security Systems: Ensures that all data is protected from information and cyber security risk. The ability to ensure that the organization implements an ongoing effort to improve the management of products, services, and processes. COR.21 Exercising & Testing: Provides resources to conduct exercising of all programs that manage risk. COR.23 Management System Audits: Ensures that there is a systematic, independent, and documented process for obtaining audit evidence to determine to what extent criteria are fulfilled. COR.24 Regulatory, Legal, & Compliance: Adopts controls to ensure that all regulatory, legal, and compliance requirements are met without unnecessary duplication of effort. 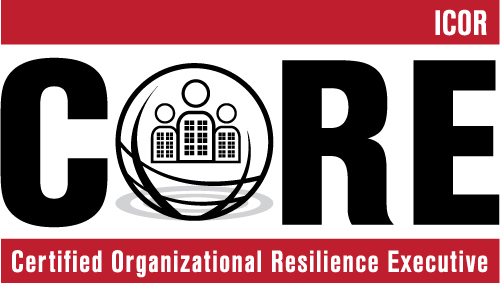 COR.25 Community Resilience: The ability of a community to meet the needs and expectations of the organization is considered for each location of the organization. To verify obtainment of each competency, applicants are required to complete a 30-minute exam. There is one exam for each competency area. Exams are taken online and are in a short-answer format. Exams can be challenged without completing the education component. 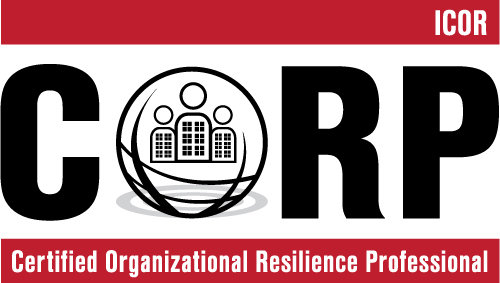 The Organizational Resilience Competency Model is derived from the Organizational Resilience Model that identifies the Strategies and Behaviors demonstrated by more resilient organizations. 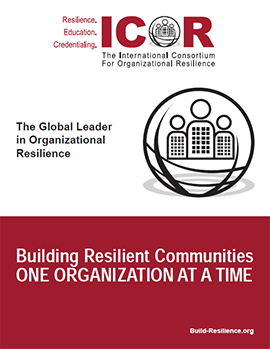 Organizations that are developing and implementing strategies to increase their resilience need to ensure that these efforts are being led by those how have the knowledge and expertise to do so.